Liver extract powder manufactured by Titan biotech limited is a solution for various health problems which is obtained from animal livers. Due to the high presence many vitamins, especially B-12 responsible for keeping nerves & blood cells healthy and for making DNA. It increases the production of red blood cells as it’s a rich source of iron and folic acid. As liver extract manufacturer we always keep in mind to never compromise with the qulaity of product. It is used in industries to make capsules, tablets and syrup which makes the consumption of liver extract product in bulk quantity. Using Liver extract powder is helpful in treating hepatic (liver) dysfunction and other viral infections, Improve the fuctining of liver, treating chronic liver diseases, preventing liver damage, and regenerating liver tissue. It is also used for allergies; chronic fatigue syndrome (CFS); enhancing muscle development in bodybuilders; improving stamina, strength, and physical endurance; removing chemicals from the body (detoxification); and as an aid to recovery from chemical addiction or poisoning. Titan Biotech Limited is in this industry from last 25 years and have deep knowledge of the products available in this industry. We are one of the best and dependable exporter, supplier and manufacturer of liver extract in both form i.e. 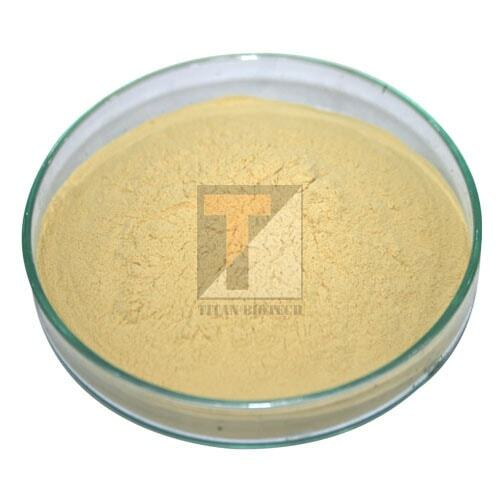 liver powder and liver extract paste. We make our presence in more than 75 countries around the world, hence need liver powder in bulk quantity, then Titan Biotech is best option to make purchase. Titan Biotech Ltd. is the prominent holder of certificates like ISO 9001, FSSAI, GMP+ (Good manufacturing practices), CE which ensures that all the products are obtained under high hygienic conditions and refining process to produce an end-product that is suitable for onward consumption. Consumption of liver extract depends on several factors such as the user’s age, health, and several other conditions. Always take your doctors advice before taking such natural products because all the natural products ere need to be in perfect amount so it can proof to be safe. Improving strength and physical endurance. Due to its high content of vitamin B-12, liver extract was commonly used to treat pernicious anemia (low red blood cell count when your body can’t absorb vitamin B-12).